Equitop Pronutrin is a high quality, palatable supplement designed to reduce signs of gastric stress in horses, for example poor performance; poor appetite; weight loss; colic; cribbing; teeth grinding & general depression. Equitop Pronutrin contains natural ingredients. Give 50g Equitop Pronutrin per 100kg of bodyweight daily, for a minimum of 28 days. For example, give a 500kg horse 250g daily; 3.5kg will last for 14 days. 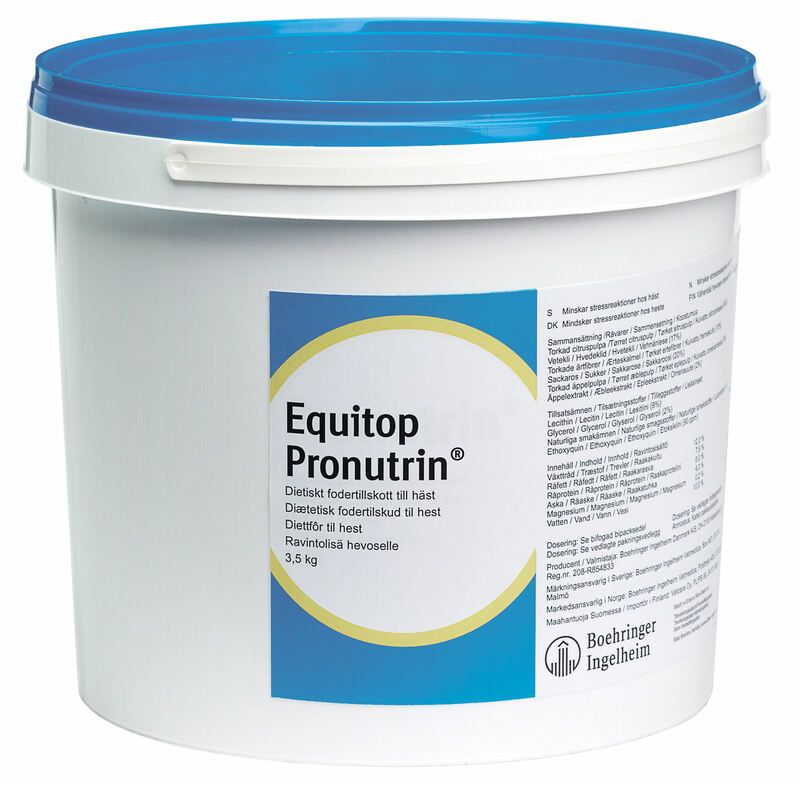 If your horse is fed twice daily, divide the ration of Equitop Pronutrin between the two feeds.